Jason "jdtjpoker" Wheeler had a pretty good run in the Super Tuesday back in 2013. He took down the tournament twice within the span of just a few weeks, adding to the title he'd earned in October 2011 for a total of three Super Tuesday victories. While he would come close again on multiple occasions in the intervening years, it wasn't until October 2016 that he again had a Super Tuesday title within reach. Wheeler fought a tough heads-up battle but eventually settled for second place at that final table. And when he did, this reporter wrote these words: "Plus, with the way these things seem to go, he'll probably have another go at this soon enough." "Soon enough" proved to be tonight. After more than two hours of final table play, a quick run at the end - and a single hand of heads-up play - allowed Jason Wheeler to lock up his fourth career Super Tuesday title. Sweden's Sasuke234 was looking to improve on a previous Super Tuesday final table appearance back in 2015, but that bid was cut short by an early coin flip. The player from Sweden moved all-in with A♥ Q♥ from the big blind after an opening raise to 52K by paul_peaches and a call from SCOOP 2016 finalist Go0se.core! on the button. paul_peaches, a Sunday Million Special Edition finalist during WCOOP 2015, called with T♣ T♠ and Go0se.core! folded, and then the tens held up on the 9♣ 2♥ 6♣ 7♠ 5♠ board to knock Sasuke234 out in ninth. paul_peaches got a genuine streak going against A♥ Q♥ an orbit later after opening with A♠ K♣ in middle position. Zluka2010 shoved for 184K in the cutoff seat with the doomed hand, folding the rest of the table out, and paul_peaches's hand won with a pair of kings on the K♥ 4♣ 8♥ 5♣ J♠ board to bust Zluka2010 in eighth. Maybe it was just that nobody else was dealt A♥ Q♥, but for whatever reason, those two early knockouts were followed by a half-hour of seven-handed poker that was mostly notable for Jason Wheeler winning enough (through two pots won without showdown) to take the chip lead. Just as the first hour of the final table was set to end, maggess88, a TCOOP 2016 champ with WCOOP wins in 2015 and 2016, opened all-in for 400K with 9♣ 9♥ and paul_peaches called in the hijack seat with A♣ K♥. The ace on the turn of the 6♥ T♣ 6♦ A♦ 4♥ board gave paul_peaches the 877K-chip pot, and maggess88 bowed out in seventh. The break came and went, and with it paul_peaches's mojo against A-Q. Past Super Tuesday winner Nick "FU_15" Maimone called in the big blind with A♦ Q♣ after the action folded to the small blind and paul_peaches jammed with 9♥ 6♥, and two pair on the 4♥ T♦ Q♦ A♥ 3♦ board gave Maimone the 1.23M-chip pot. Most of the next hour passed without another knockout, punctuated by two seven-figure pots for João "Naza114" Vieira, who finished seventh in last week's Super Tuesday, and Nick Maimone picking up pocket aces in the small blind. Owner of the second-shortest stack at the table at the time, he moved in for two big blinds more when Go0se.core! shoved with K♦ T♦. Mr. Maimone's A♦ A♣ held up after the board fell 3♠ 8♣ 6♦ 2♥ 8♠, and Go0se.core! left in sixth. A coin-flip double to 1.94M for TCOOP 2013 PLO winner Ph4N, whose win with 5♦ 5♠ against paul_peaches dropped the Australian player's stack to 2.84M, closed out the second hour of play with a reset that brought the chip leader back to within less than 10 big blinds of the closest competition. That was still good for the chip lead, but paul_peaches bled the bulk of that stack away over two losses right after the break. paul_peaches opened the first hand with a raise under the gun and re-raised after Ph4N made it three bets and 301K to go on the button, but an all-in raise from Ph4N pushed paul_peaches off the pot and down to 2.59M chips. On the next hand, paul_peaches picked up A♥ Q♦ in the big blind and jammed after Jason Wheeler min-raised to 120K on the button. Wheeler called all-in with A♦ K♦ and took the 3.37M-chip pot (and the lead) when neither player improved on the 8♥ 8♣ 6♣ 3♣ 7♣ board. Take a shot at the Super Tuesday next week. Click here to get your PokerStars account today. That loss left paul_peaches in last place with 994K, good for about 16 big blinds, but before it could be put on the line, another big win for Wheeler set the tone for the rest of the final table. Ph4N opened on the button for 132K and called when Wheeler re-raised to 360K in the small blind, bringing a 4♠ K♦ 8♣ flop. Ph4N called 300K there and another 480K on the 9♥ turn before calling Wheeler's 1.86M-chip all-in bet on the Q♠ river. 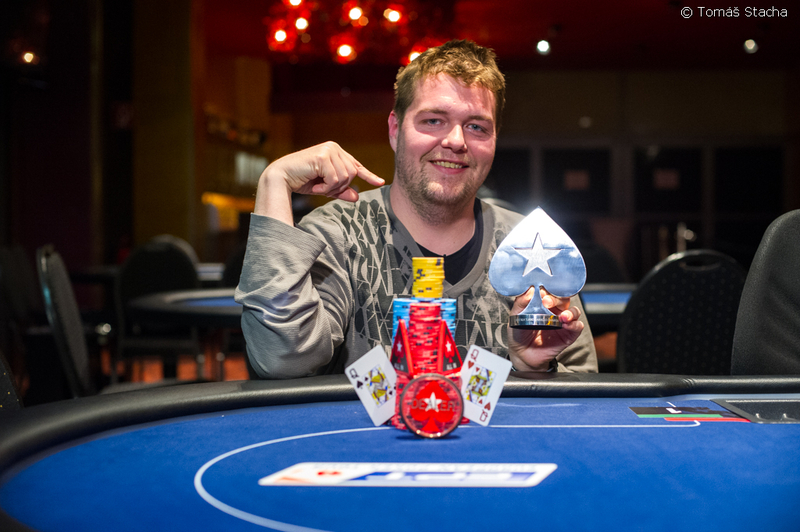 Ph4N showed K♣ Q♣ for two pair, kings and queens, but Wheeler's J♦ T♥ had made a king-high straight to take the 6.21M-chip pot. That left Ph4N with a stack worth just over one big blind, and two hands later the Romanian player was out in fifth. The blinds and antes rose to 35K/70K/7K on the next hand, and a coin-flip between big starting hands kick-started the action. paul_peaches's A♣ K♥ won out over João "Naza114" Vieira's Q♦ Q♠ for a double to 2.2M, leaving Naza114 as the short stack with 844K. Then Nick Maimone picked up 7♦ 7♠ in the small blind on the next hand and moved all-in, and Jason Wheeler called in the big blind with 9♣ 9♠. The board came T♥ 3♥ 4♥ A♠ T♦, Wheeler chipped up to 7.3M, and Maimone left in fourth. Eight hands passed without showdown, only three getting as far as a flop, before Naza114 moved in for 613K in the small blind with Q♦ Q♥. paul_peaches called with A♠ 5♠ in the big blind and picked up an ace on the turn of the 8♠ T♦ 6♣ A♥ K♦ board, earning the 1.24M-chip pot and sending Naza114 to the rail in third. paul_peaches proposed a look a the numbers for a possible deal on the next hand after making a minimum raise to 140K with 7♣ 7♥ on the button, but Jason Wheeler responded only with a re-raise to 375K. paul_peaches thought for a moment and then shoved for 2.83M, drawing an immediate call from Wheeler, who had K♥ K♠. The 6♠ 3♠ A♣ T♦ 2♥ board did nothing to change the pre-flop order, knocking paul_peaches out on the first hand of heads-up play to bring the tournament to an end. The final hand might have played itself, but the preceding two and a half hours of final table play here tonight showed Jason "jdtjpoker" Wheeler on his game and thoroughly deserving of his fourth career Super Tuesday win. 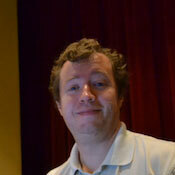 Congratulations to him and to paul_peaches for topping another highly skilled Super Tuesday field.